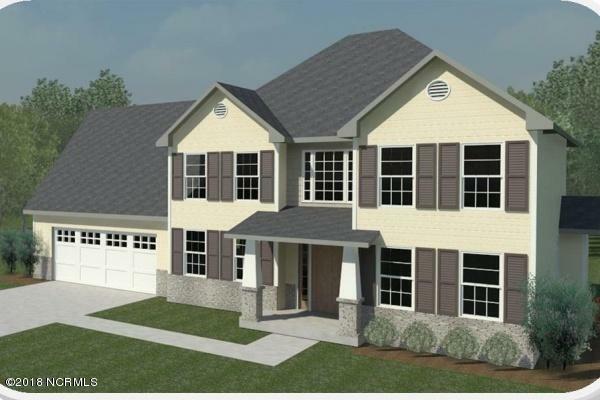 Sterling Farms presents the Talisman floorplan with 4 bedrooms and 2.5 bedrooms is a generous 2326 square feet. The covered front porch awaits your rocking chairs. Inside, just off of the grand two-story foyer, you will find the formal living and dining rooms. Gather around the electric firplace in the large family room.The kitchen will not disappoint with its stainless steel appliances as well as significant cabinet and counter space that includes a bar area. The breakfast area just off the kitchen adds the perfect amount of extra space for entertaining. Also on the main floor you will find a half bath and a separate laundry room. Upstairs, the master suite boasts a large walk in closet, separate shower and tub as well as two separate vanities. You will be pleased to find that 2 of the remaining 3 bedrooms have walk in closets as well.